Available In S - 8XL Sizes. Available In Black, Royal Blue, Purple, Wine, Cerise, Neon Yellow, Neon Orange, Charcoal, Cream, Orange, Mint Various Beautiful Colors. 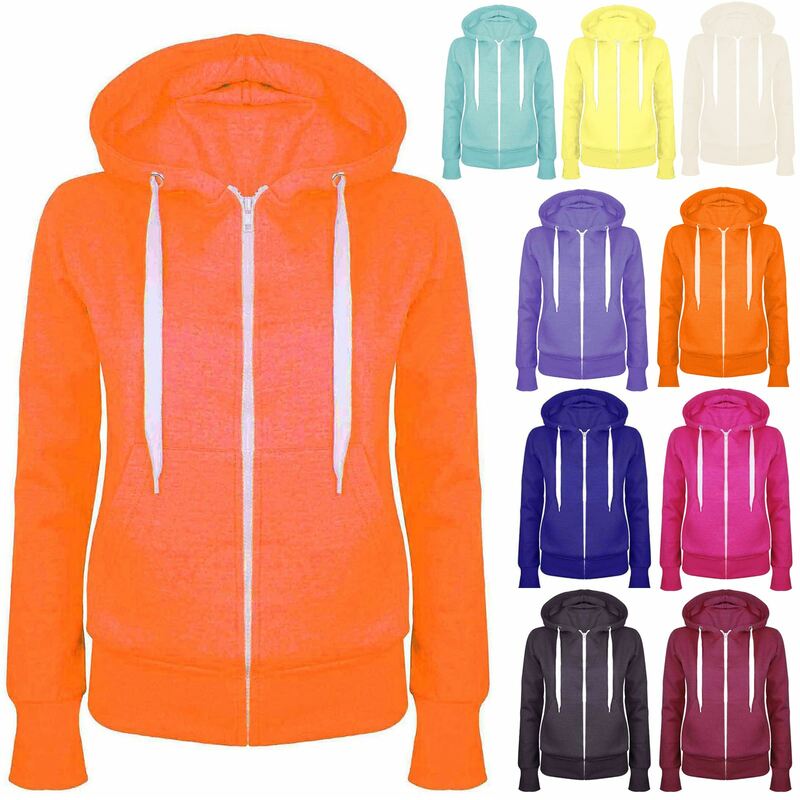 New Womens Ladies Sweatshirt Zip Jacket Coat Hoodie Jumper Plain Fleece Hooded Hoody Top Which Is Perfect Addition For Your Casual Wardrobe. It Has Soft Stretchy Comfortable Warm Material, Long Sleeve, Hooded Neckline, Zip Up Fastening, Two Front Pckets, Plain Fleece Hoodie Jacket Coat Hoody Sweatshirt Jumper Top Which Gives Comfortable Stylish Look At Any Outdoor Wear. Want To Gift For Someone? Now We Also Offer Gift Wrapping Service. Just Add Gift Wrap Service To Your Cart With Your Buying Product. And We Wrap It For You With Best Quality Wrapping Paper. Get Ready For Gift For Special One.